Soft fabric-like stabilizer that dissolves completely in water and leaves no residue. Provides great permanent stability and remains on the fabric and keeps it stable. Used as a topper and recommended for lace, cutwork, badges and appliques. A semi-sheer iron on stabilizer that will not shadow through fabrics. Fusible tricot that provides permanent stability that is soft to the touch. 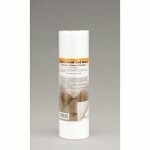 Provides permanent stability to delicate and hard to handle fabrics. A new lighter stick on tape stabilizer that is a tear away, especially designed to not stick to needles and eliminates thread breakage usually associated with build up adhesive on thread. Heat removable stabilizer, removes easily with a low iron. Great topper for towels! A non-woven textured, iron-on stabilizer that remains soft to the touch. 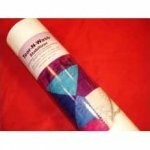 A multi purpose stabilizer perfect for machine embroidery. This light weight cut away stabilizer is for medium density designs to minimize show through. Slightly textured surface helps to grip fabric and reduces movement during hooping. 1" printed grid for a perfect finished project. Paper dissolves completly in water, but the microfibers stay locked in the design for continuous support. This product is out of stock and on back order. Semi-sheer, no show permanent stabilizer, perfect for applications that will be close to the skin.